How's this for a cute little skirt - here's our VELVET PERFIDIA MINISKIRT! Made from crushed velvet, the skirt flares out from the hips, with a gently curved hem. Looks great whether your style is fae, witchy or full-on-goth - just choose the colours to suit! 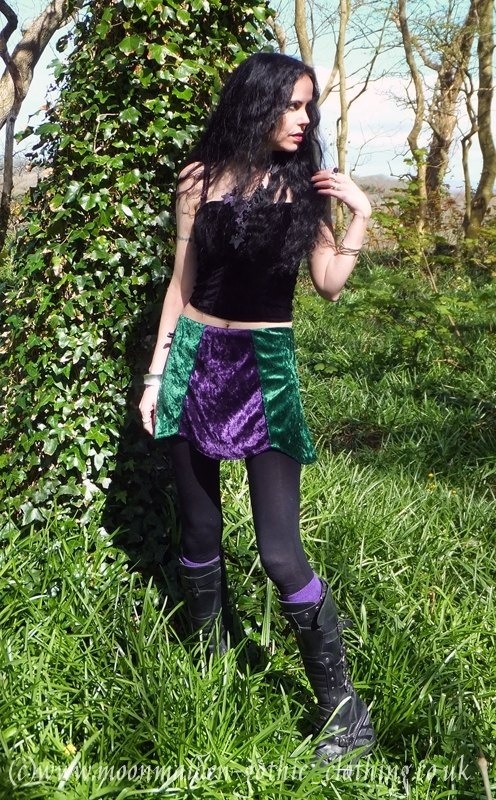 It's shown here in a "woodland fae goth stylee" - Forest and Purple!It has an elasticated waistband, and is available in all of our normal velvet shades; so choose from the list below - or mix and match colours to suit you!